CBC reporter Dianne Buckner interviews Aaron Grant from North and Isabel Pedersen from UOIT's Decimal Lab about North's new Focals smartglasses. They discuss the issues of technological distraction, user privacy, and Google's failed smartglasses experiment - Google Glass. 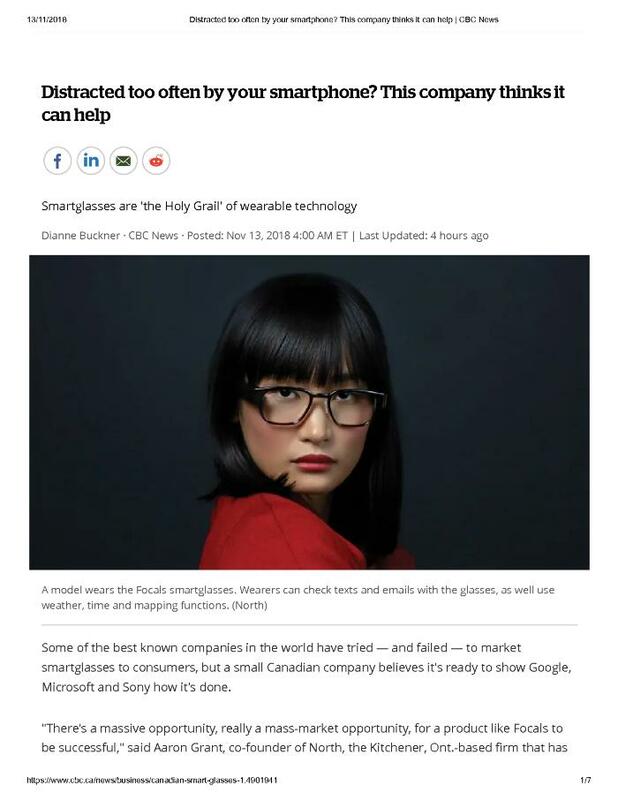 "In terms of wearable computing and wearable technology, smartglasses are the Holy Grail," said Pedersen. "Whatever company can get consumers to use and buy smartglasses will really make it."